I was so fortunate to be selected for this juried show at the Chait Galleries Downtown in Iowa City, Iowa. 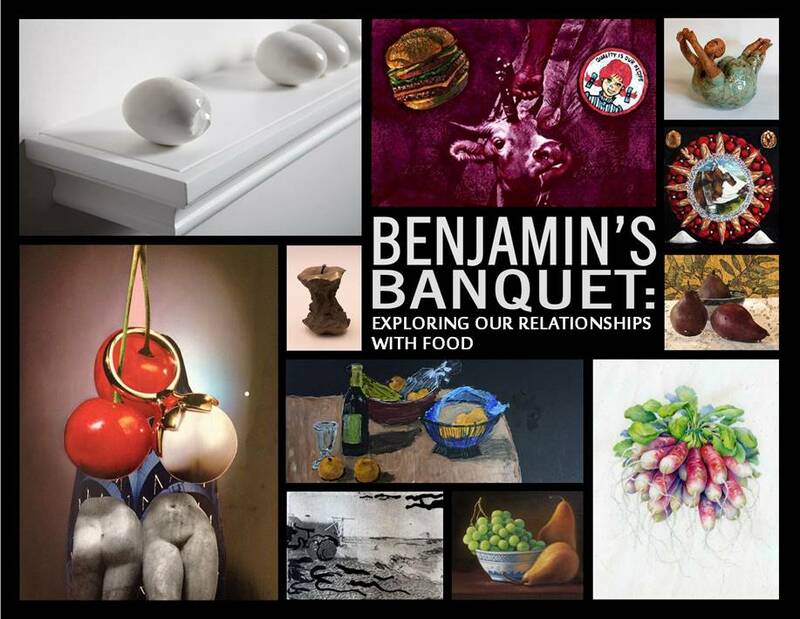 The show is titled ‘Benjamin’s Banquet’ — It’s a show to highlight the way various people view food and the way we respond to our daily choices. If you are going to be near Iowa City in the next four weeks, be sure to stop in and let me know your thoughts. The opening is Friday, February 12 and it will continue until March 26. One piece that I haven’t exhibited before is the Royal Plum in Winter — You can see it in the show. I first saw this plum in the early spring huddled into a branch hanging low on the tree. I loved its spirit of “remaining” through the winter in spite of the challenges – a metaphor for embracing the winter but rejoicing in the spring as well. And then there was its sheer beauty – the wrinkling enfolding upon itself. My older family members have that amazing joy in every line upon their face and they aren’t afraid to tell you how proud they are of every one of them. And so when I saw this little plum there in the spring I thought of my family and how dear they are to me. A real treasure on a blustery spring day. Enter your Email Address to receive notifices of new Posts.